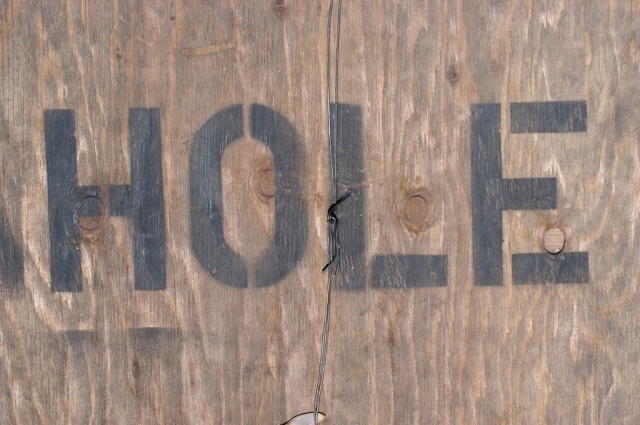 "I found "hole" on the sidewalk in front of the Phoenix Museum of Art in June 2006. When I visited, the museum was undergoing some extensive renovation. I sign served as a warning. I love the primitive nature. The barbwire is the perfect topping. "